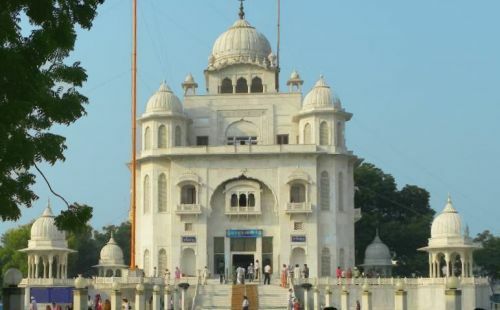 The Gurudwara Rakab Ganj Sahib is an 18th century Sikh house of worship where the 9th Guru Teg Bahadur was cremated after his execution on the orders of Emperor Aurangzeb. The Gurudwara Rakab Ganj Sahib is an 18th century Sikh house of worship where the 9th Guru Teg Bahadur was cremated after his execution on the orders of Emperor Aurangzeb. The white marble building surrounded by a beautiful garden also preserves the weapons of the 10th Guru Gobind Singh.